Our state-of-the-art image processing technology means we can scan X-rays into a various digital formats. Our tailored X-ray scanning service means that whether you have one department worth of X-rays or a national archive which needs to be transferred to a database. Our scanning bureau has the infrastructure to handle your archive collection. As a recognised professional scanning company with an X-ray scanner. Public and private organisations in London and throughout the UK including private medical clinics, dentist and orthodontist surgeries, NHS hospitals and surgeries, veterinary practices have previously used and are continually to use our X-ray scanning and indexing services. The reason being it enables them to work more efficiently when dealing with X-rays on a day-to-day process. Productivity. Digitising X-rays increases productivity because the files can be viewed at any time, from anywhere. This allows faster viewing and improves the workflow efficiency, which means problems can be spotted quicker and treatment started faster. Space saving. With X-rays stored digitally, there is no need to file them and take up lots of space with the physical copies of the X-ray. This means space can be utilised better, and with the NHS facing budget cuts this is vital as storage space could provide more beds or room for equipment. Sharing. Digital files are much easier to share with colleagues and other departments. X-rays can be viewed remotely or by off-site specialists for a faster diagnosis. 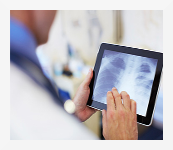 For over 15 years we have been trusted to securely and confidentially digitise X-ray films for the NHS and various other private clinics in London and throughout the UK to their preferred digital format. 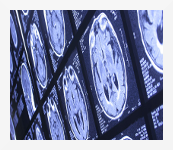 Our Scanning service is quick and efficient which enables the aid of improving functionality within radiology departments in London and across the UK.